“Best known as a basketball player but I want to be remembered as the best son, father, brother and friend!” – Basketball phenom Kiefer Sykes, from his twitter page. 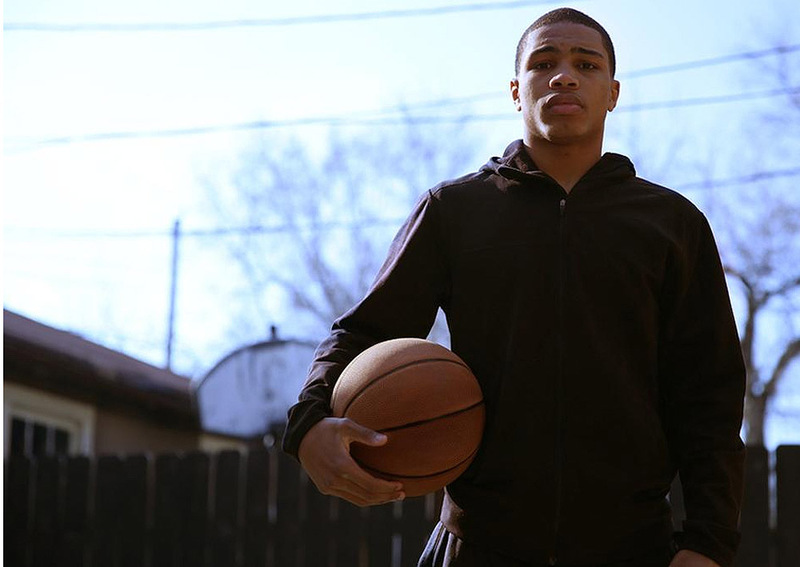 A hell of a bittersweet saga by Director Nick Budabin about the basketball player Keifer Sykes, who soars on the courts as a pint-size wunderkind and, away from the sports arenas, soars with the spirit of an indomitable African American Everyman. Budabin’s saga can touch audiences on metaphoric and transcendental levels as it did this reviewer. CHI-TOWN’s broad canvas shows the bleak streets of Chicago’s murderous west side, draws on intimate interviews of family, friends, teammates and coaches over a period of several years and incorporates a virtual highlight reel of exquisitely selected game footage of Sykes soaring and dazzling in high school, college and the pros. Also part of this symphonic accomplishment is a rich, thick tapestry of personal, individual and collective experiences woven into storytelling that will make audiences marvel as well as sigh if not gasp and cringe as they watch Sykes deal with the vagaries of life as he pursues his basketball dreams. CHI-TOWN is about more than the sport, it’s about more than Chicago. Universal themes are expressed through a contemporary Afrocentric matrix. One one level, it tells the story of Keifer Sykes’ extraordinary playing days at Marshall High School on Chicago’s West Side where he was named to the second team All-Chicago Public High School League by the Chicago Sun-Times, to the University of Wisconsin-Green Bay where, on a full scholarship, he won numerous awards and national recognition and was considered a NBA standout candidate. The director weaves in stories of other Chicagoans whose lives are touched or intertwined with the life of his stellar, 5-foot-11 point guard and protagonist, resulting in a story that tells more about life for African Americans in Chi-Town than what is shown on the screen. The story telling is rooted in the reality of Chicagoans, African Americans, trying to live and thrive and survive in the harrowing nightmares of the bullet-riddled episodes of west side Chicago. CHI-TOWN resonates on several plains of existence without preaching about the social ills that are, with seeming impunity, sucking the life out of poor and working class African American neighborhoods. Yet, it shows, through Sykes’s home life and upbringing and that of his friends and former teammates, a resilience that also exists though definitely under peril. When I first started playing basketball, it was just for fun. The idea was to play whenever and wherever I had the chance, which at the time was the playground across the street from my project building. We would dribble around on the woodchips acting as if we were playing in front of thousands of fans and shoot the ball in the spaces in-between the monkey bars. CHI-TOWN sparked a sense of déjà vu for reviewer-editor Gregg Morris, who can be reached at gmorris@hunter.cuny.edu. He grew up in the Englewood District on the south side of Chicago, was a high school basketball star at Mt. Carmel High School, just as adult gangs were replacing youth gangs like the Egyptian and King cobras and the Black Stone Rangers (who later became the Black P. Stone Nation). He later starred at Cornell University where he was inducted into the University’s sports hall of fame. Was drafted by the then Baltimore Bullets (now known as the Capital Bullets) but played in the old Continental Basketball League and later for the Sporting Clube de Portugal where a knee injury ended his basketball playing years.